There is an overlap going on, but it is only a partial one. Many of my blogging friends and followers are also on Facebook. Many are not. Many of my Facebook friends never bother to look at the blog. Then, of course, there are those friends who do neither. Lately it seems that category is dwindling, with most friends, family, coworkers, and acquaintances choosing to plug into one form or the other of digital connection. No, I don’t do Twitter, and yes, I have an Instagram account but haven’t put more than half a dozen photos on there in a year. No time. I have to pick and choose my personal version of internet communication. I did a long blog post for the private blog I have been keeping about our “transitions”, sending the link to the few people who are close enough to care about the finer details of what is going on, but most of the time that one isn’t for public consumption. Now and then I have copied a post from the “transitions” blog to this one, but a comment on Facebook made me realize that maybe I needed to try a bit harder to keep this blog a bit more updated. Bob McLean, of The Caretaker Chronicles, has been an internet friend for several years, not as up close as some others, and I have never met him, but he once kindly invited Melody and I to visit him and his TC at their home in Vienna when we were traveling Eastern Europe. We have sorta followed each other along leap frog style since then, as our lives have shifted and changed. Bob is a kick, with a great dry witty sense of humor that never fails to entertain me. Bob blogs a bit more consistently than I do, but he isn’t a daily guy either. So I cruised back through the blog thinking, “Surely I have talked about this at least a little bit”, and to my surprise discovered that, no, I hadn’t really talked about it much. 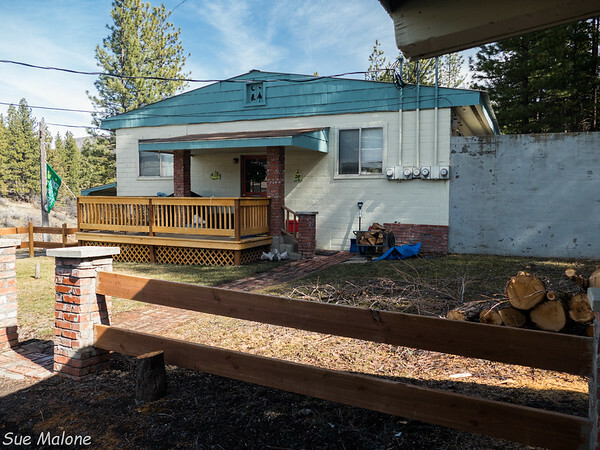 A few comments here and there, lots of photos of the Cottage when we were in Grants Pass, but not much mention of the actual process of tearing it down. Lots of detailed explanations on the “transitions” blog, and more than a few references to the moving process on Facebook, but who in the heck can manage to keep track of your own life much less someone else’s life?! Which is why I haven’t blogged about it much. 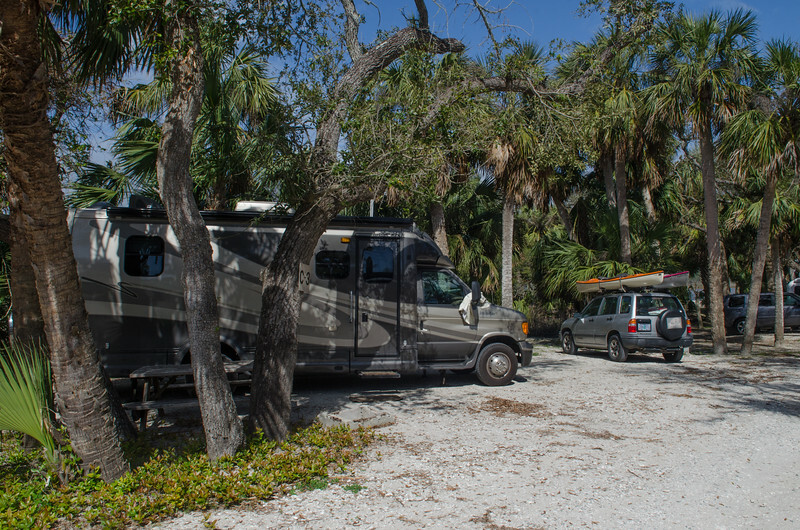 This is a travel blog, mostly RV travel with some other kinds of travels thrown in, and of course, now and then, other pieces of life get in the mix. 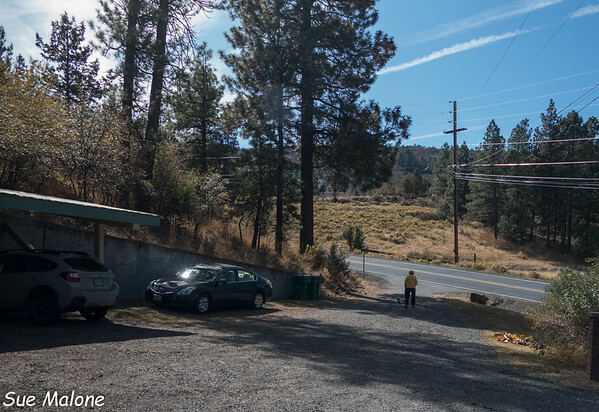 After all, we are not full time RV’rs, and I find that when we are on the move I assume that what I have to say might be more interesting for someone to read. I also usually don’t have to go back to the blog to figure out what we were doing when we are at home, but I surely use it a LOT for when we are on the move. 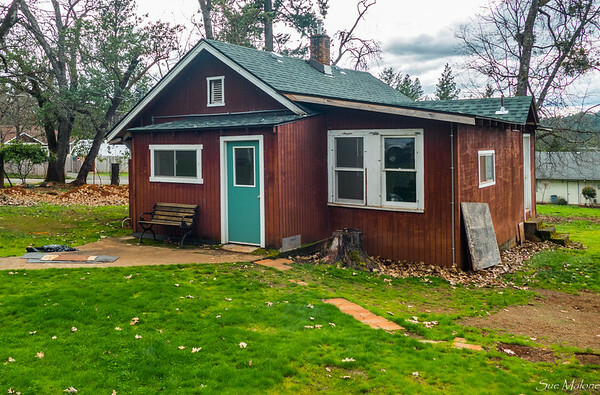 This is the google photo of the cottage before we bought it in 2012, with no RV shed, a bunch of chicken coops, old sheds and shelters, and the old pallet fence. So, again, and a repeat for those up close friends who already know the drill. 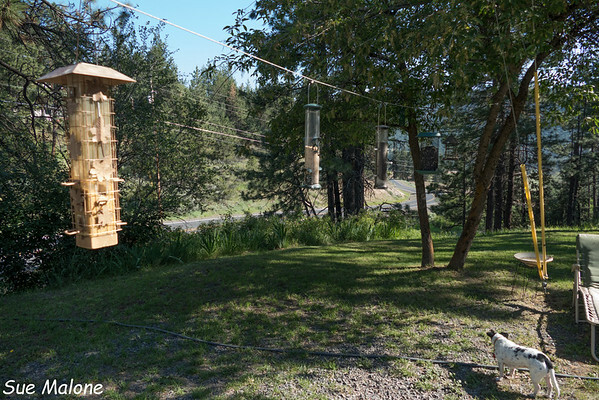 We bought the .87 acre in Grants Pass in 2012, so we would have a place to store the MoHo in winter. 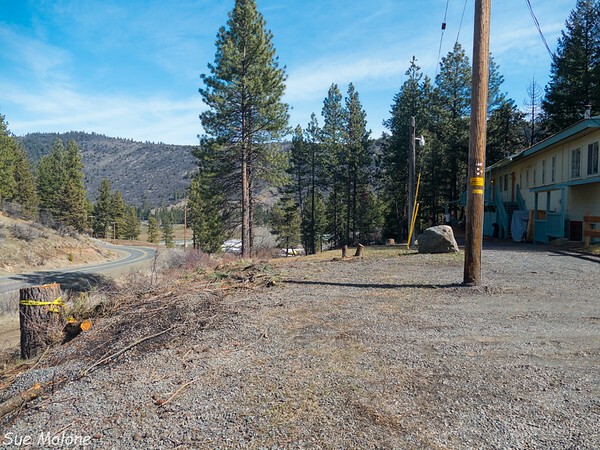 Mo wanted a big RV shed, and county regulations require that a dwelling be already on the property in order to add another building. 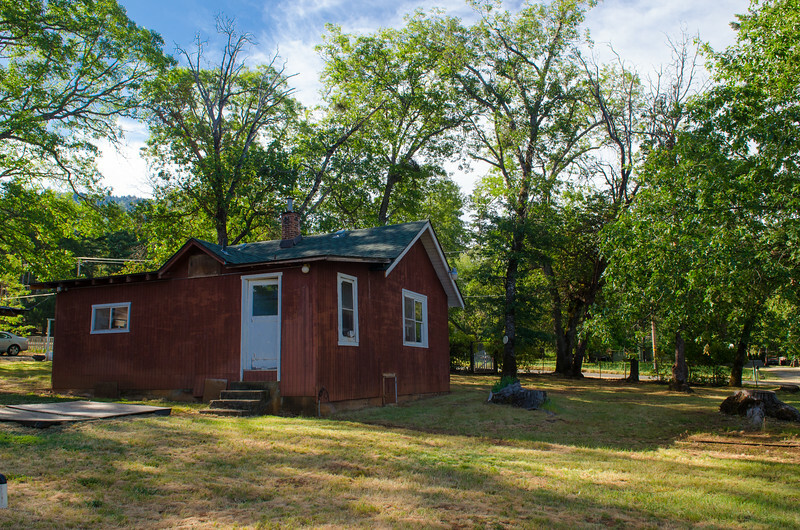 The acre was perfect, the cost was close to the cost of the land without a dwelling, so we always laughed and said the little 700 square foot cottage was basically free. At the time we lived in Rocky Point. 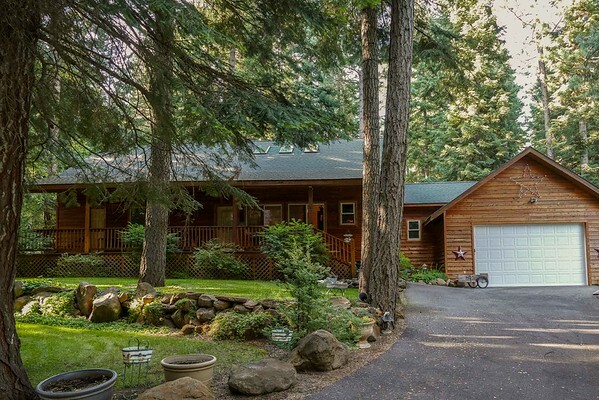 Most longer term readers remember that lovely home in the forest, and possibly remember that we sold that property last year. Reason for selling? Time to leave the deep, heavy snows of winter and the 35 mile one way drive to the grocery store for life on the west side of the Cascades. 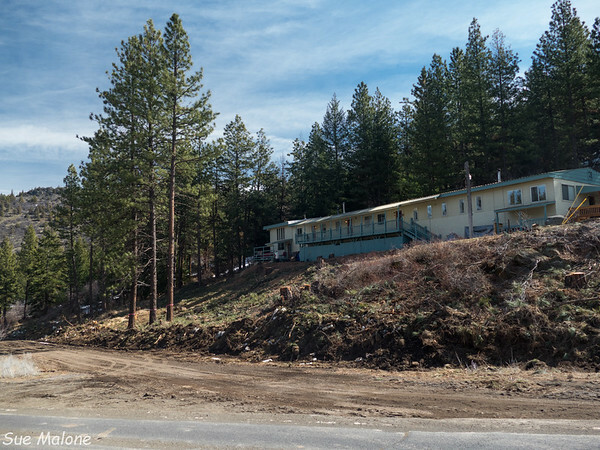 It took a bit for us to make that decision, and the first couple of years at the Cottage, we thought of improving it (which we did), adding to it, (which we decided wasn’t practical), or building a new home from scratch. Which we are now doing. So, Bob, to make a long story a bit shorter, that is where we are now. 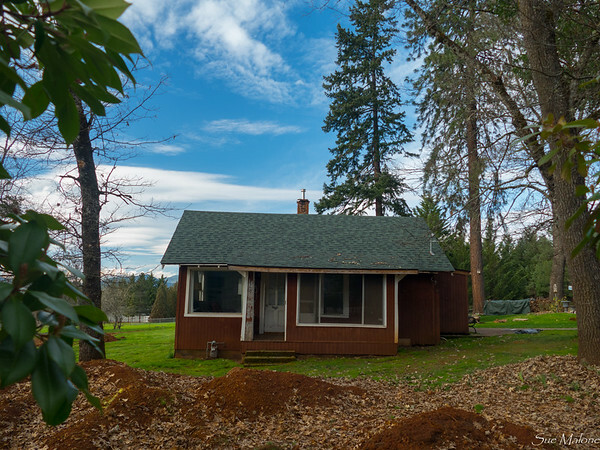 We just had to wait for spring for the appropriate development and building permits, and the scheduling of the demolition of the little cottage to make way for the new house. 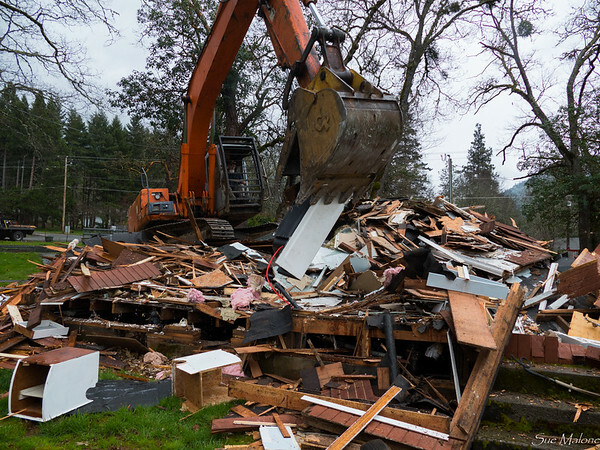 Yup, we tore it down. 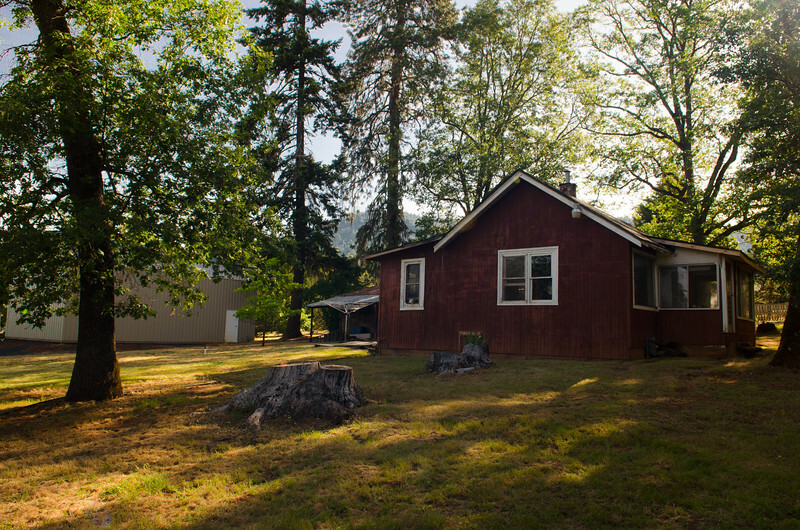 The Cottage wasn’t fancy, but it had 90 years of history, and we managed to make it cute and livable for the times when we were in Grants Pass. We knew there wouldn’t be much to salvage. A few old beams weren’t really even paint grade. The new bathtub that we put in 3 years ago was impossible to get back out without a ton of work. Daughter Deborah came the week before the scheduled demolition and helped us get all the furniture (mostly things from Mo’s cabin at the Rocky Point house) out of the cottage and into the big RV shed. 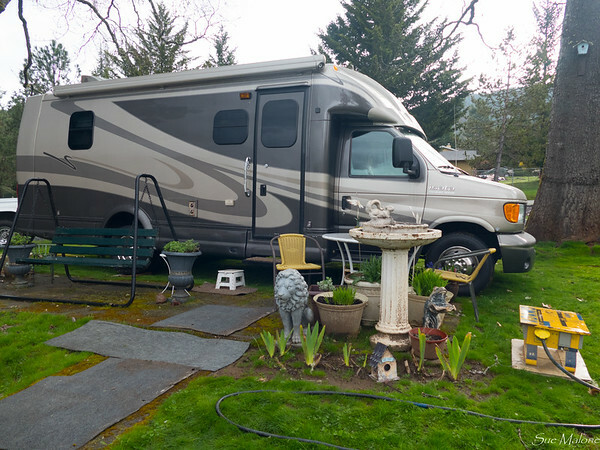 We moved the MoHo outside, where she will reside for the next few months during the build, and created a bit of living space inside the RV shed with our bits and pieces of furniture, a couple of comfy chairs, and the TV. It will be a bit of a place to get away from the smaller space of the MoHo while we hang around during the house build. Of course, we have spent months at a time in the MoHo, but it is a bit different when traveling than it will be sitting still in one place. We then removed a few antique doors, and Deborah took down the kitchen cupboard doors she had so carefully sanded and painted to hopefully create something wonderful with them. 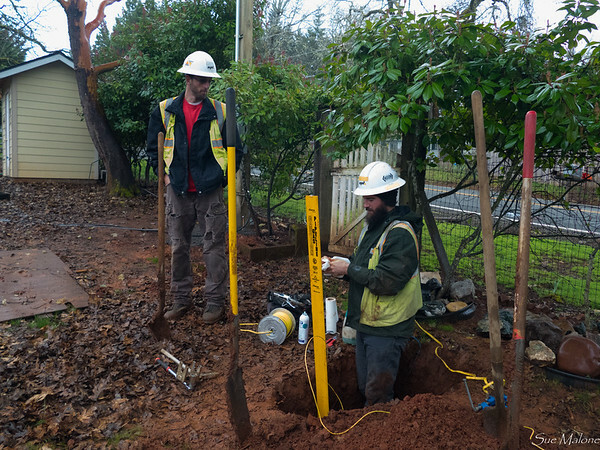 By the end of the week, all the required permits came together at the right time, the gas company capped the gas line at the street and took away the gas meter. 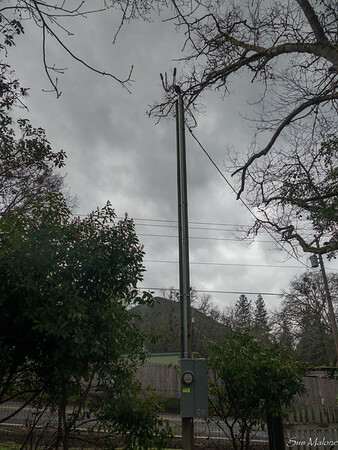 The power company disconnected the existing power and immediately connected to the newly installed power pole and meter box. We only spent one night without power, and on Saturday morning the electrician showed up at 8am to connect the power line that connected the shop and RV shed to the main pole, and to install a distribution box with a 30 amp plug for our RV and for the builders to use for power equipment during the build. 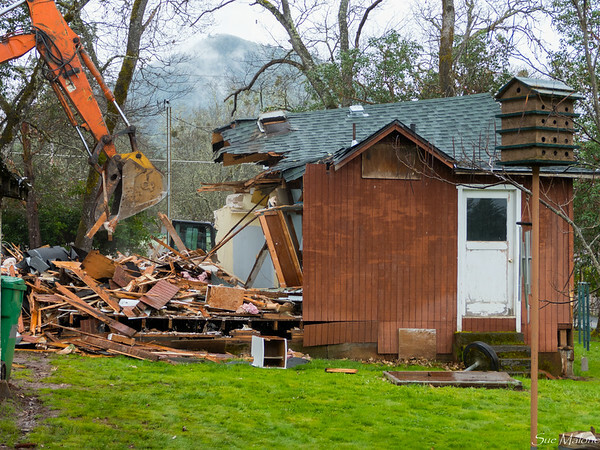 I had thought it might be an emotional thing to see the Cottage go, and it was, but only for a moment. When that first wall went down, and the sunny little kitchen with the blue and yellow and white shelves were exposed to the world, I felt a bit of sadness, and tears popped up. 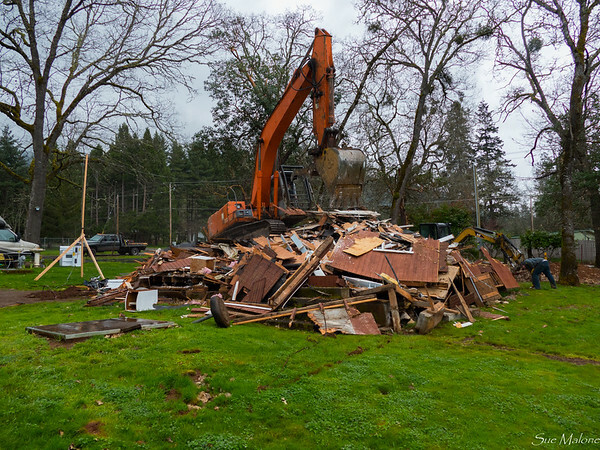 It only lasted a moment, though, and the fascination of watching a house disappear with a few bites of a monstrous machine made up for any sense of loss. 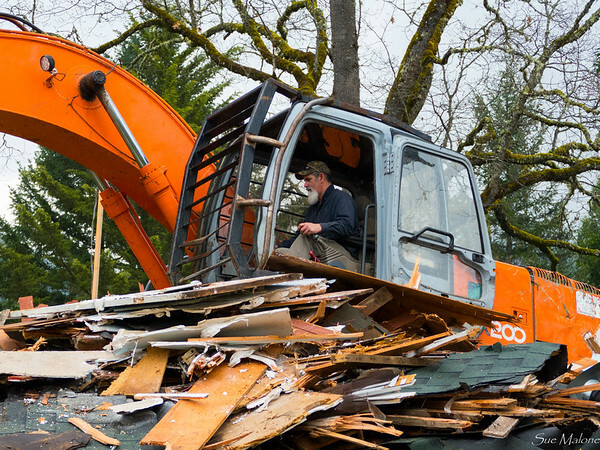 Early in the process, with the demolition of the first exterior wall, suddenly everything came to a screeching halt. Ralph, the demo guy, thought he saw something that looked like it could contain asbestos. 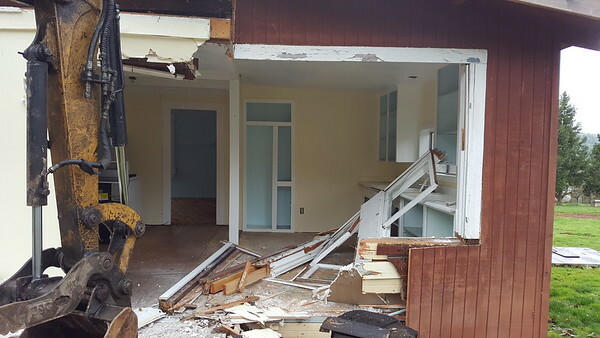 Gary, the builder foreman, had removed and tested materials from several areas of the house and we were determined to be asbestos free, except for some old tiles in the kitchen. 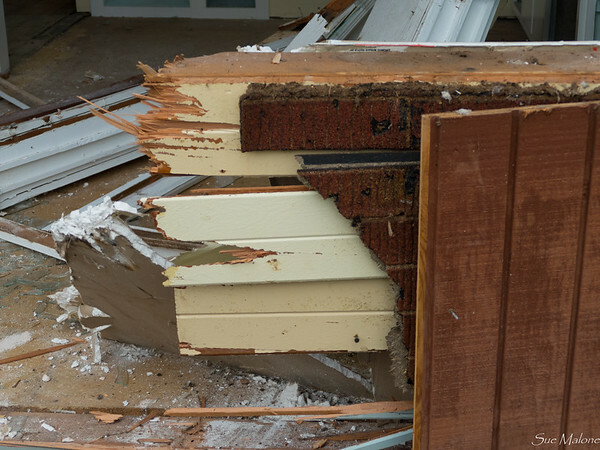 Homeowners can remove the tiles and dispose of the asbestos, but a contractor is require to jump through myriad and expensive hoops to handle asbestos abatement. Mo and I had dutifully removed the tiles the previous week, but this material was some sort of crazy composition siding that was completely hidden by other layers of siding sandwiched on the thin walls. Asbestos would stop the job, and could cost so much to remove that we would have to completely abandon our house building plans because it would be so far outside the budget. Time stood still, and with some sort of contractor magic, Gary managed to get a sample to a testing company in Medford, the sample was tested within an hour, and thank God it came up negative. Within two hours the machine was backup and running. We all took a collective sigh of relief on that one. The demolition continued for the rest of the afternoon, even in the rain, and by early evening, most of the cottage was lying in a small heap of sticks and twigs. It was an old house, built from scratch from whatever materials were available at the time. The pipes under the floors were wrapped in newspapers and roofing paper. I hunted for dates, and discovered, January 29, 1949. I couldn’t read much of the paper, because it was so stained. It was truly amazing to see that such a simply built house, without even any framing of any kind, could actually stand for 91 years. 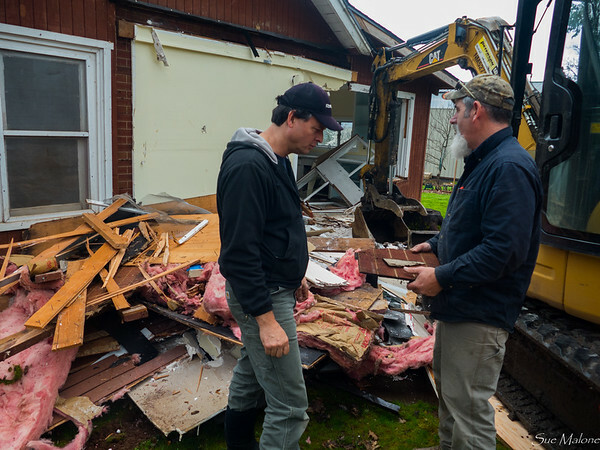 On Tuesday morning the crew returned to finish the job of crunching up all the debris and hauling it away in the two huge dump trucks that they quickly filled. Ralph also took down the three trees that were in the way of the new house footprint, using his giant bucket to simply push those trees right out of the ground, stumps and all. It was fascinating to watch. 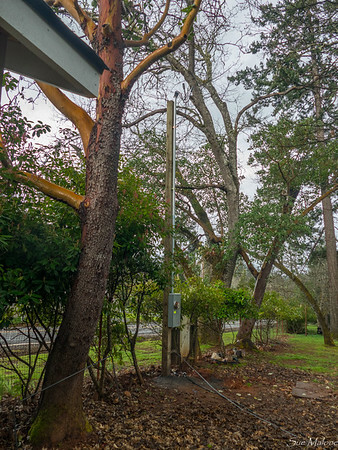 On Wednesday morning, almost everything was down and hauled away, except for the last big tree that Ralph thought he should take down with the help of an arborist. 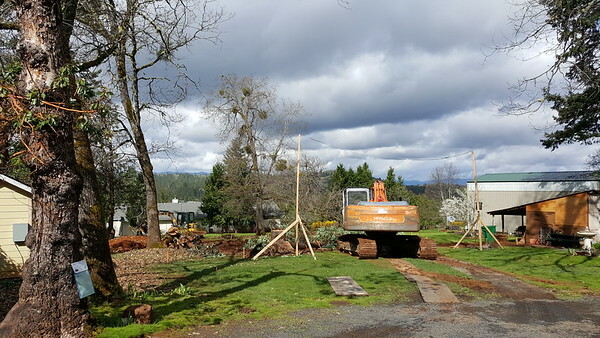 They took that last beautiful madrone down without a hitch, landing it right in between the big trees we wanted to keep uninjured, and the old cherry tree on the lower end of the property. Gorgeous work, and by the way, gorgeous men as well, all of them. What IS it about those construction guys with tool belts anyway?!?! Gary and his helper Levi then started the process of staking out the footprint of the new house. 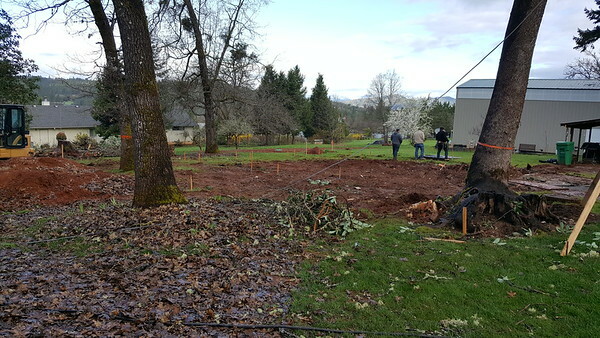 The final staking will come after the excavation is completed in the first week of April, but this one was basically for making sure the house was set exactly as we wanted it. I spent much of the time gleefully dancing around the defined space, stepping through the “front door”, looking out the great room “windows”, and standing in my “big oval soaking tub: looking out the big window in the master bathroom. It is an exciting process, and a slow one. 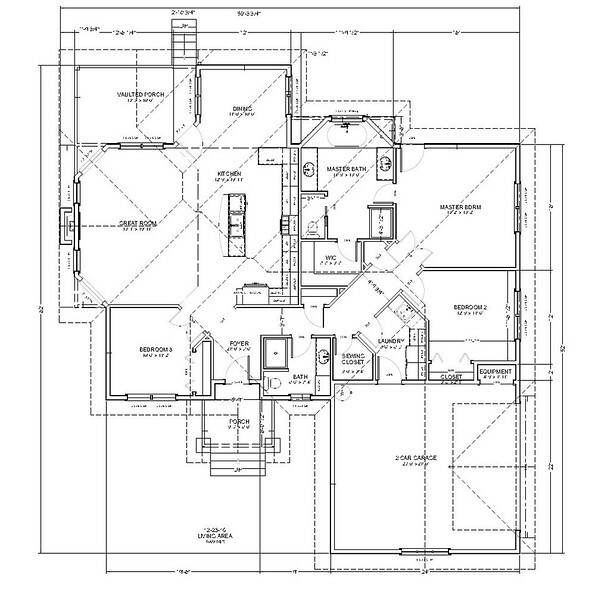 A custom home doesn’t go up quickly, and our schedule is six or seven months before completion. 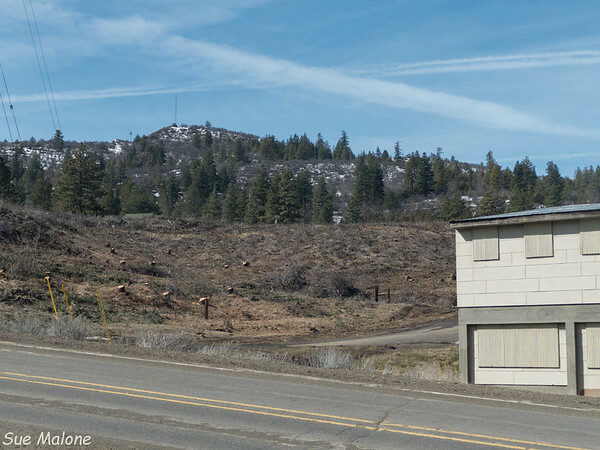 We are really hoping that 7 months will get us actually moved in before winter snows once again take over the Klamath Basin. 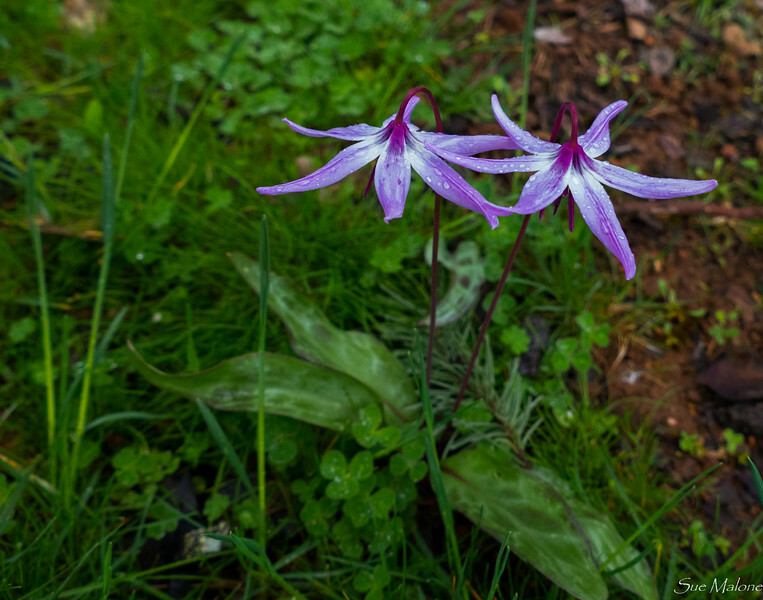 Erythronium hendersonii the precious trout lilies growing down in the lower pasture were unconcerned. We won’t be traveling much this year, as it is important to be around to make decisions. 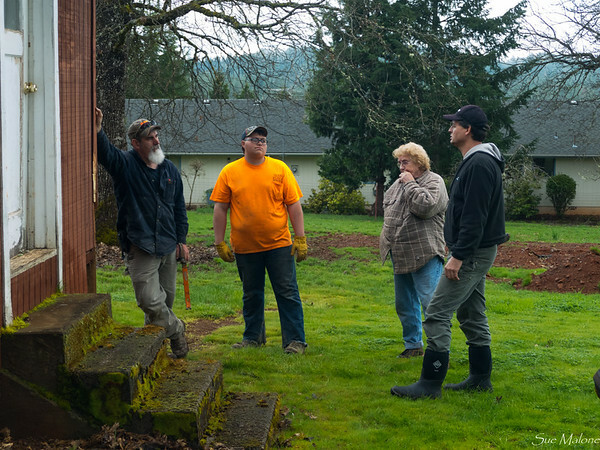 Our contractor is a great guy, with a wonderful reputation for building homes in Grants Pass for 3 decades, but we still wouldn't want to leave all those choices up to someone else, so we need to be around. 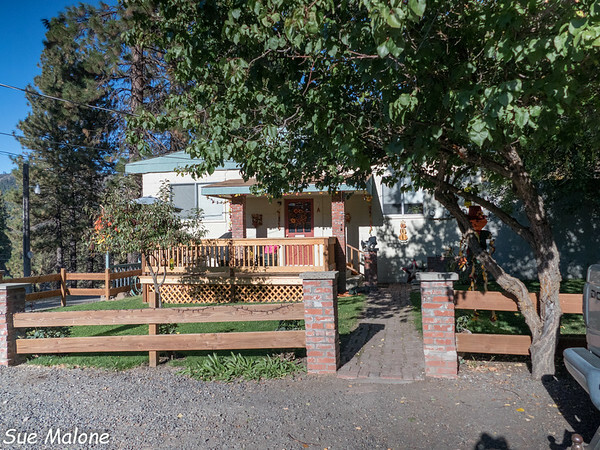 The plan is a week at the “cottage”…and a week back at the apartments where we will officially reside until we move into the new house. 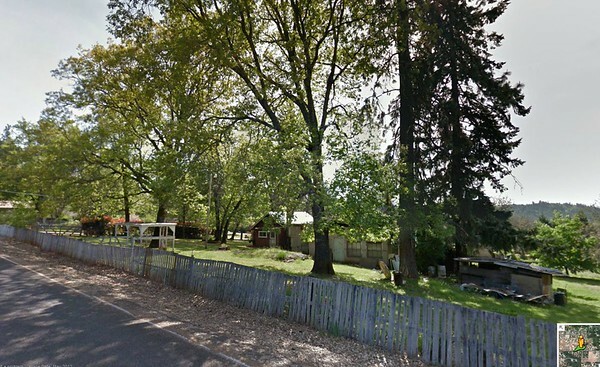 I gotta figure out what to call our place in Grants Pass now that the “cottage “ is no longer there. The new house isn’t huge, but it is definitely NOT a cottage.